AllPack Services handles any type of industrial wood packaging material based on your packaging needs: order preparation, packing, picking, grouping, packaging of dangerous products. We will visit you to analyse your projects, formulate your specifications, and evaluate the risks and constraints inherent in the material to be protected. From a small box suitable for air transport to the relocation of an entire production site overseas, AllPack Services designs and manufactures customized wood packaging on its premises, at your site or at your suppliers’ or subcontractors’ sites, in compliance with the strictest standards (ISPM 15, ISO 9001, ISO 14001, and AEO). If you wish, we can handle the whole logistics chain: from collecting the material to shipping it, including storage, tracking and, of course, packaging. 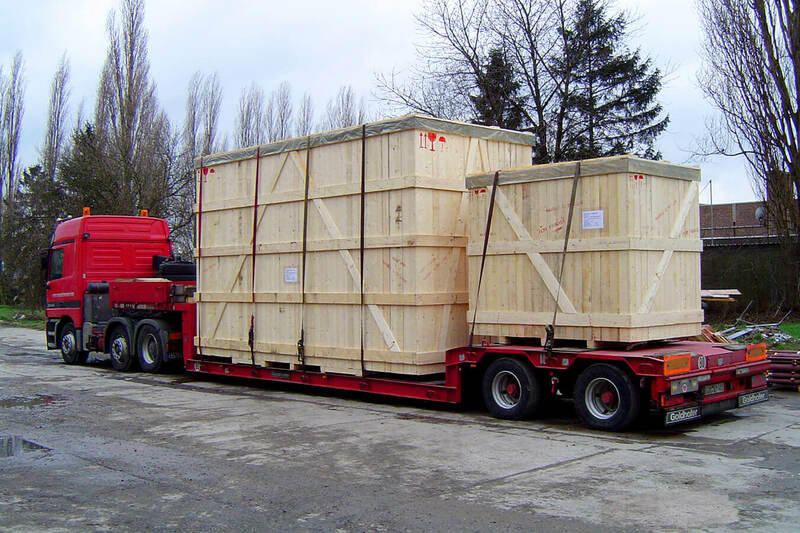 By working with AllPack Services, you are guaranteed robust, efficient industrial wood packaging for transporting and storing your materials. Punctuality: we are flexible and adhere to the agreed deadlines. Quality: we design your packaging with care and precision. Safety: our wooden packaging is robust and ensures the safety of your materials. A proposal tailored to your needs. Waterproof casing provides mechanical and physicochemical protection. Management of transport reservations and customs formalities. Any packaging and/or material movement request is considered. One-time or ongoing solutions, in an integrated workshop or on-site. Comprehensive insurance specially designed for you. Our team of professionals helps you with all your industrial wood packaging projects. Request a clear and customized quote.